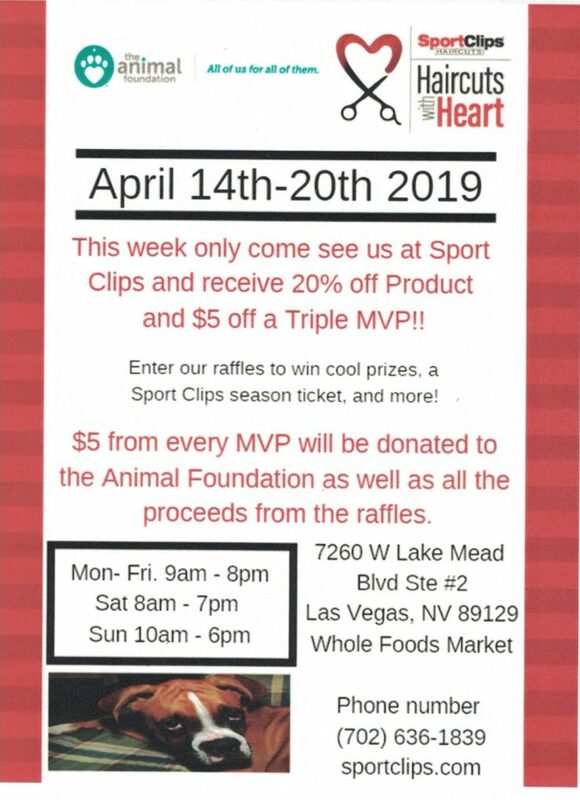 Sport Clips is hosting their Haircuts with Heart fundraiser April 14th – 20th for our rescue pets! All proceeds from the event, including $5 from every haircut, will go to our homeless animals. All week long, they will also have music, games, raffles and more! Join them at their store located at 7260 W. Lake Mead BLVD. LV, NV 89129 to participate! 7260 W. Lake Mead BLVD.